There are so many critical links in the education system. School counselors are one of those links. They advocate for students, develop programs to meet their guidance and counseling needs, and understands how a diverse learning environment impacts the students. And those are just a few of the duties. There are 100 selected-response questions on this computer-based test. 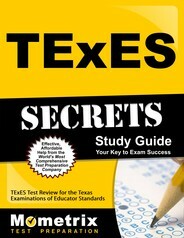 Some of the questions on the TExES School Counselor (152) exam may not be scored. What is the total test time? Candidates have a five-hour test time. That includes 4 hours and 45 minutes to take the exam and 15 minutes for test preparation. The test fee is $116. 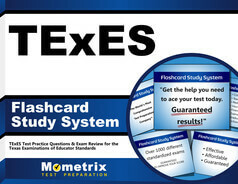 What is the passing score for the TExES School Counselor (152) exam? Candidates must achieve a passing score of 240. Understanding students. This section focuses on human development as it relates to guidance programs. Topics include how children and adolescents develop socially, emotionally, and physically; guidance and counseling services for students with typical and atypical behaviors; effective communication strategies with students and parents; diversity in the learning environment; how various factors, including social and cultural, impact developmental; how factors at school, such as peer and teacher relationships, can impact a student’s learning; how society and trends can impact student development; and how factors outside of school, in the home and community, can impact learning. Planning and Implementing the Developmental Guidance and Counseling Program covers topics that include student needs assessment; guidance and counseling program development; communication strategies, both internal and external; student self-confidence and motivation; student problem solving skills and responsible behavior; career development theories and models; individual and small group counseling theories; assessment principals and how to use them to measure student needs; group standardized testing program planning and evaluation; and guidance curriculum development. Collaboration, Consultation, and Professionalism involves effective communication techniques with families. Topics include involving parents or guardians in the student’s education; referral procedures; collaboration in the school and community; resource coordination for students; various legal and ethical issues, including confidentiality, special populations, and interventions; and advocating for guidance programs that meet the needs of all students. How can I get my test score? Candidates can access their test scores through their testing account. When will I be able to see my test scores? In general, candidates should be able to see their test scores within five days of the exam date. The test is available all year-round, except for certain holidays. Where can I take the TExES School Counselor (152) exam? The Texas Education Agency has hired a private test agency to deliver the exam. Candidates can do an online search to find the test center nearest to them. Candidates must bring two forms of identification. The first must be a government-issued ID like a driver’s license or passport. The second must contain your name and photo or a name and signature. Candidates should arrive at the test center early. You don’t want to be late. Any candidate more than 15 minutes late might not be able to take the test. Are personal items, like mobile phones, allowed in the test room? No. Most personal items are banned from the test room. It’s best to consult the guidelines to see the entire list of banned items. I need some outstanding study materials to help me prepare for the TExES School Counselor (152) exam. What’s the best I can get? Mometrix offers outstanding preparation materials that have been prepared by test preparation experts. Our study guide will outline the keys to test success and walk candidates through a general strategy review designed to help them tackle tough questions and not panic while doing so. Our flashcards are an easy-to-understand study tool in which we provide clear answers to tough questions. If you’re going to take this exam, these are the materials you need.